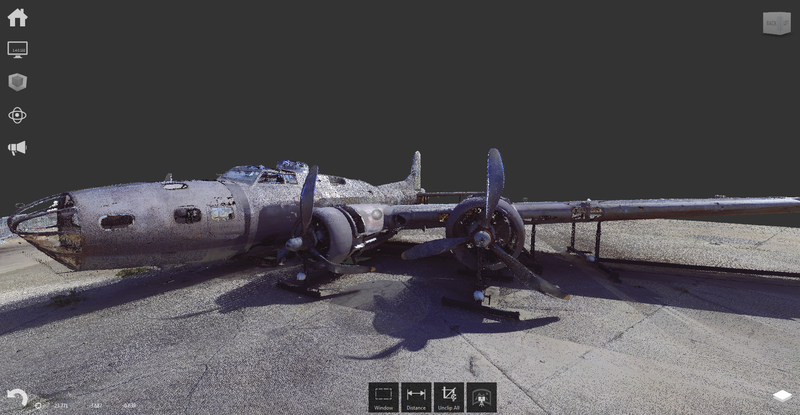 While working in Hawaii on the USS Arizona project Pete had the opportunity to laser scan a WWII B-17E known as the Swamp Ghost at the Pacific Aviation Museum. While time did not permit the creation of a complete model the results were still quite good. Parts of the aircraft even have well preserved paint markings. The hope is to use the data captured to 3D print needed parts that are of course no longer available.